A conservation group says the latest statistics on grizzly bear deaths underscore the need for better habitat protection in Alberta. 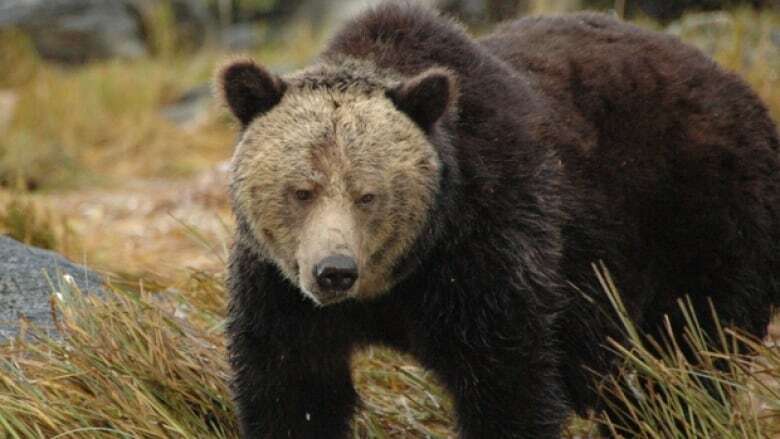 Conservationists are again calling for better habitat protection for Alberta's grizzly bears. According to provincial figures, there were 19 grizzly deaths in 2014 caused by humans — some of them by accident, some of them by poaching. Sean Nichols, a spokesperson for the Alberta Wilderness Association, says the province must better manage public lands where grizzlies live. When the province released its Grizzly Bear Recovery Plan in 2008, it estimated the total population of grizzlies across the province was only 700. ​"We need to say that enough is enough, and get serious about managing our public lands and how much access we build into them," said Nichols in a release. "Let's not do this to their habitat, let's not fragment their habitat, let's not build so many roads and so many intrusions into their habitat." Since the grizzly hunt ended in 2006, 168 total grizzlies have died — 150 of them from human causes. The province is currently updating its grizzly recovery program and Nichols is hopeful it will contain hard limits on industrial development in bear habitat. Other conservationists are not as hopeful. Brian Horejsi has been studying grizzlies since the 1970s and has watched the population steadily decline. He says he does not believe the political will is there. "We're still looking at a plan that has not been embraced by regulation and if you don't do that you don't have a plan," he said. Horejsi says if the province is serious about protecting grizzly bears, it must impose limits on development and roads in bear habitat. He says if nothing changes, Alberta grizzlies will be extinct in the next 50 to 150 years. An earlier version of this story incorrectly said that the grizzly population has hit an all-time low.